2 Gunner Close01263 715779work01603 870304fax Self-catering2 Gunner Close is a modern, detached house with fantastic sea views, beautifully furnished with attention to detail. Other: Towels, books & games, Travel Cot, Stairgate. 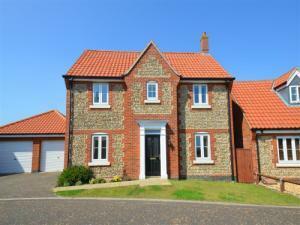 2 Gunner Close is a modern, detached house with fantastic sea views, beautifully furnished with attention to detail.